When Henry fails yet again to hand in his homework for the umpteenth time, he inadvertently sets off an unexpected and curious chain of events. He forms an unlikely alliance with Moody Margaret, the infuriating girl next door, wins a talent contest, and stands up to his ultimate nemesis. With each antic crazier than the last, Henry finds himself inexplicably trying to save the very school which he has always professed to hate! With a run time of 93 minutes, the movie is rated PG for some silly humor, and features a rocking soundtrack including Katy Perry, The Saturdays and LMFAO’s Party Rick Anthem and will be sure to get everyone on their feet dancing! I have to admit, I am not a huge fan of live-action kids movies. I like cartoons... but some of our children are outgrowing them. 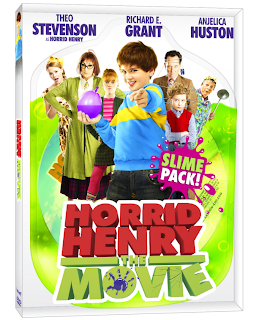 Our 7, 8, and 9 year old boys are really starting to enjoy the live-action kids movies...and Horrid Henry did not disappoint. What did happen, though, is I actually found myself enjoying the movie! Now, it is a bit cheezy- but that's the nature of a lot of live-action movies for children. The movie is still fun, has some great music, and didn't put me off from watching it. We enjoyed a wonderful family movie night. The kids laughed, and that to me is priceless. 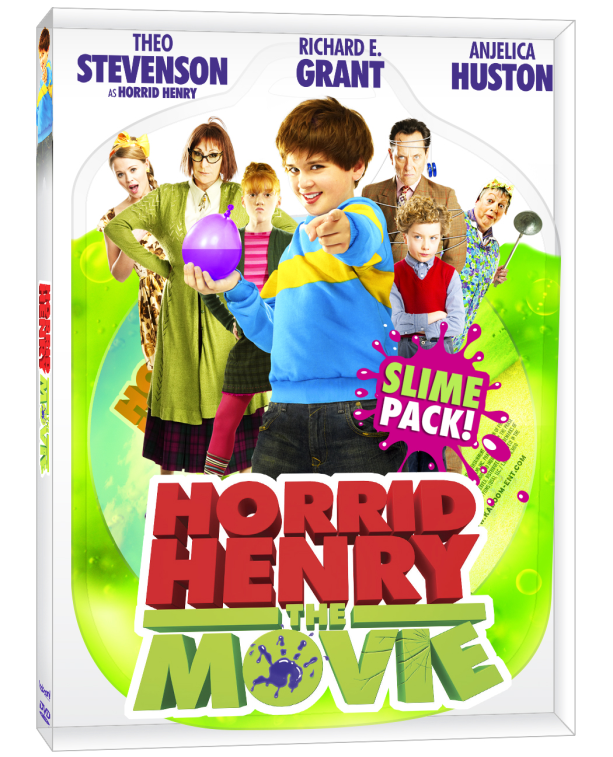 Horrid Henry is currently available at Walmart, and the kids will LOVE the fun slime pack included with the DVD! I received a family movie night pack, along with a gift card to purchase items for our movie night, to facilitate this review. All opinions are entirely my own. This sounds like a movie the whole family would enjoy. I think even my almost five year old would get a kick out of it. That looks like a really cute movie, I'm surprised I haven't heard of it from my kids. I'll have to mention it to them and see if they've heard of it. Thanks for sharing! My kids love live action... good to hear it's cheesy. If it has potty humor (farts), pranks and the like it's a winner for them LOL. LOVE family movies and I bet my son would like this. We'll have to watch it soon.